Acupuncture injection therapy involves the injection of small amounts of liquid administered by qualified acupuncturist-MD’s. Like acupuncture, fine needles are inserted into acupuncture points or trigger points just under the skin or into muscles. As the name suggests, this therapy evolved from standard acupuncture and has been routinely practiced in China for many years. The liquids used include herbal extracts, saline, liquid vitamins, and even sterile water. Acupuncture Injection into acupuncture points activates them in a similar way to the insertion of acupuncture needles. But the injection will stimulate the acupuncture point for a much longer period of time, thus enhancing the therapeutic effect. Think of it as super acupuncture. It is a very useful technique in hard-to-treat, or poorly responding conditions. This technique can very effective in treating chronic conditions such as allergies, chronic pains that even cortisone shots do not help, fibromyalgia, migraines, low back pain, tennis elbow, golfer’s elbow, thumb pain, heel pain (plantar faciitis), knee pain, shoulder pain, and many other diseases. It is also effective in treating chronic auto-immune conditions such as Rheumatoid Arthritis. Dr. Ian Lin, MD, who is certified in acupuncture and internal medicine, is one of only few physicians in the country specializing in Acupuncture Injection Therapy. Dr. Lin usually uses vitamins or herbal extracts such as Traumeel. He also uses thinnest needles available on the market. They are about the same size as acupuncture needles. 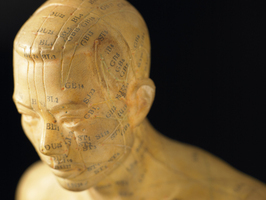 He has successfully treated many patients who did not respond well to either western medicine or standard acupuncture. A word on Traumeel: Traumeel is homeopathic herbal extract that has been safely and effectively used in Europe for more than 30 years. It has anti-inflammatory as well as pain-killing properties. It’s ingredients include: Arnica montana, radix (mountain arnica), Calendula officinalis (marigold), Hamamelis virginiana (witch hazel), Millefolium (milfoil) Belladonna (deadly nightshade), Aconitum napellus (monkshood), Chamomilla (chamomile), Symphytum officinale (comfrey), Bellis perennis (daisy), Echinacea angustifolia (narrow-leafed cone flower), Echinacea purpurea (purple cone flower), Hypericum perforatum (St. John’s wort). Traumeel has no known side effects except potential allergy to any of its ingredients. It can be safely administered to children as young as 2 years old.